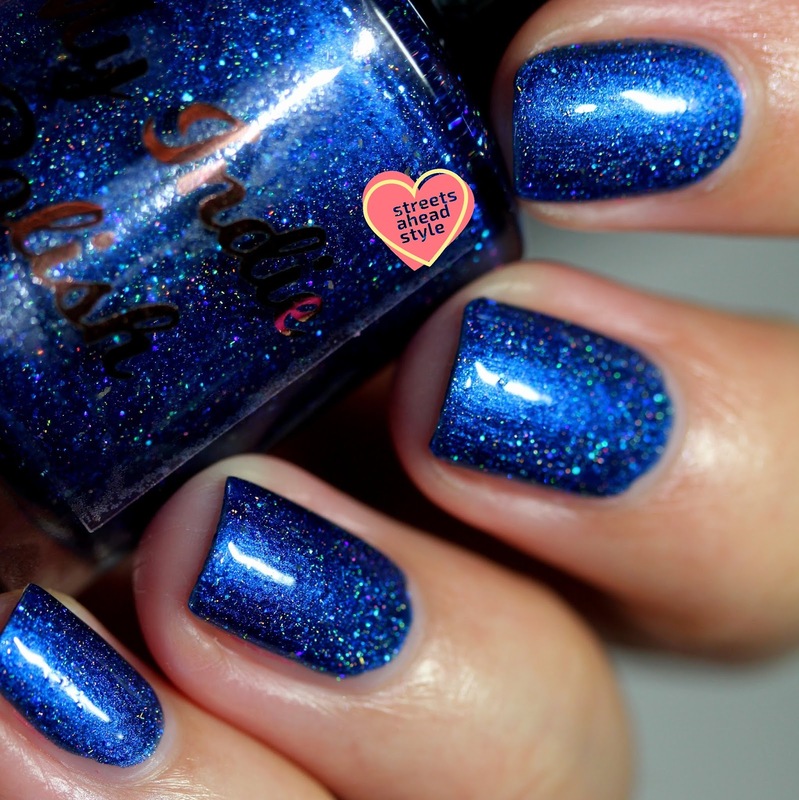 Are you prepared for a gorgeous blue loaded with shimmer and holo sparkle? 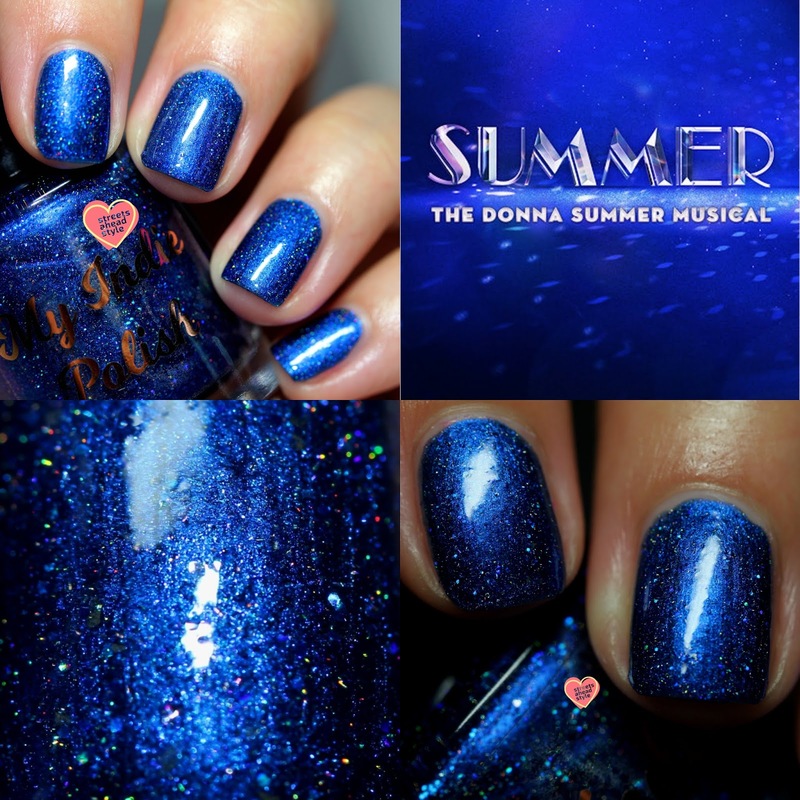 I hope so because My Indie Polish is bringing the blue with their August Polish Pickup Musicals-inspired creation which is inspired by Summer: The Donna Summer Musical. My Indie Polish Summer ($12.50 USD, 15 mL, no cap) is a cobalt blue jelly with tons of holographic and silver flakes with what appears to be a bright blue shimmer that almost makes it look metallic. I am wearing two coats. This is a jelly so it applied sheer for the first coat but built up to full opacity on the second coat. There's a tiny bit of texture due to the holographic glitter so I suggest a thick layer of top coat. 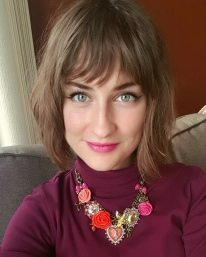 I've never tried a blue polish with that lit-from-within quality I see so often in reds. This polish is gorgeous and really captures the glitz and glamour of the 1970s (which I'm super into right now as I am currently rocking a Farrah Fawcett type mullet). This is SO sparkly and SO glowy. I love, love, love it! It also works really well with the tan I have for the short while I'll have it - yay for that! Do you think you'll pick this pretty blue up in the August Polish Pickup? Shop is live the first Friday at 11 AM EST of each month and stays open for four days, through the following Monday at Midnight EST. This is the ONLY time frame in which the monthly polishes will be available for purchase.